I recently invested in another suit from Suit Supply and I wanted to share my thoughts. 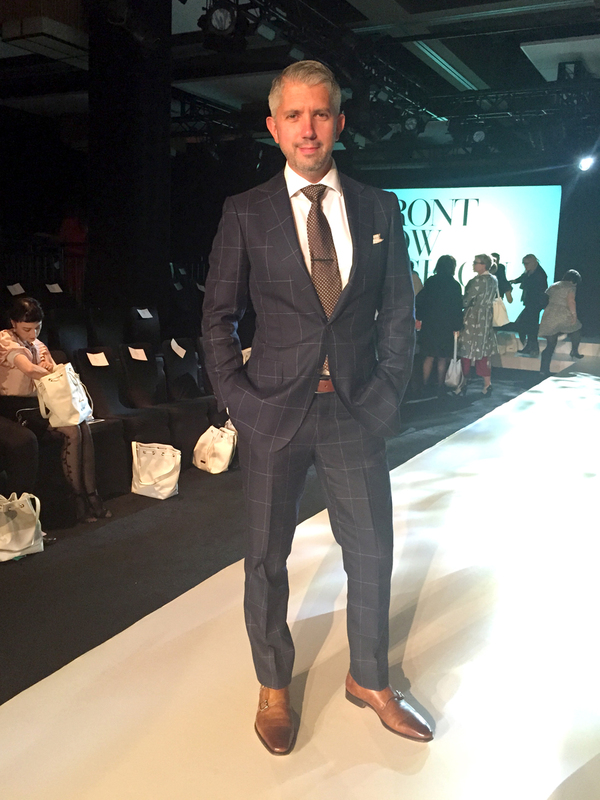 I’ve already shared my feelings towards Suit Supply in an older post, so I’ll spare the details. However, needless to say, I love this store and their products. 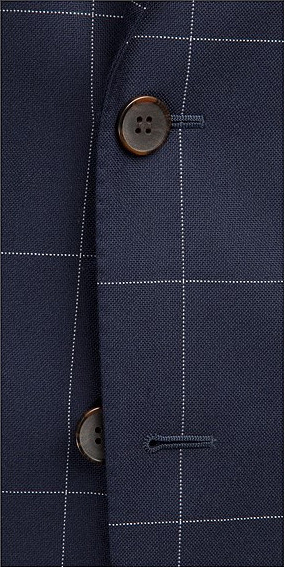 I bought the Lazio suit in this navy windowpane fabric. The ‘off-the-rack’ jacket fit was almost perfect with only minor alterations needed to the sleeve length. 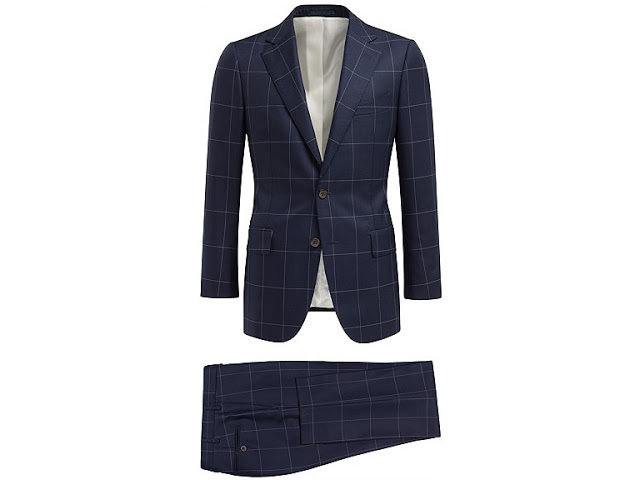 The buying process is very simple and the prices are great, which makes choosing to buy only one suit a major dilemma. The trousers obviously needed to be taken up and tapered which only takes a few days. Everything was perfect when I picked up the suit a few days later. If you’re looking for a new suit, skip the department stores because you at least owe it to yourself to check out Suit Supply. Thanks f or posting the pics! 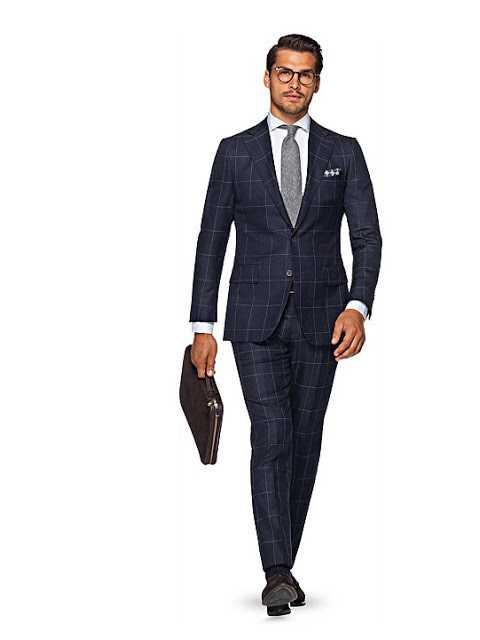 I just ordered the same suit, but then I started worrying that it would look ridiculous, with too-bright white lines. The great picture of you in the suit put my fears to rest. You look amazing. I heartily approve of the tan monk straps with the navy. So rich! Thanks, Jay. It’s a bold suit, but not too over-the-top. You’ll love it.